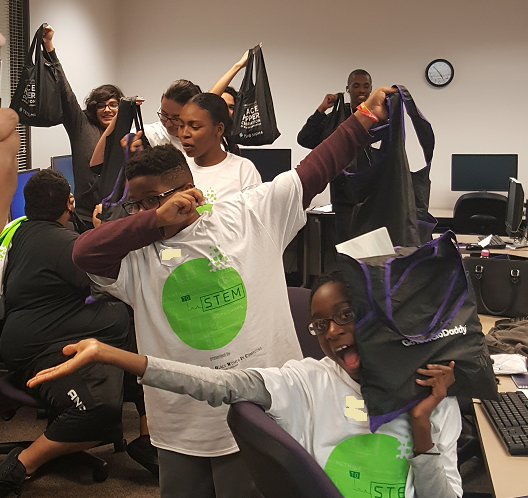 As part of the Pathways to STEM program, BWiC hosted an exciting game development workshop for Houston teens immediately following the Grace Hopper Celebration of Women in Computing. 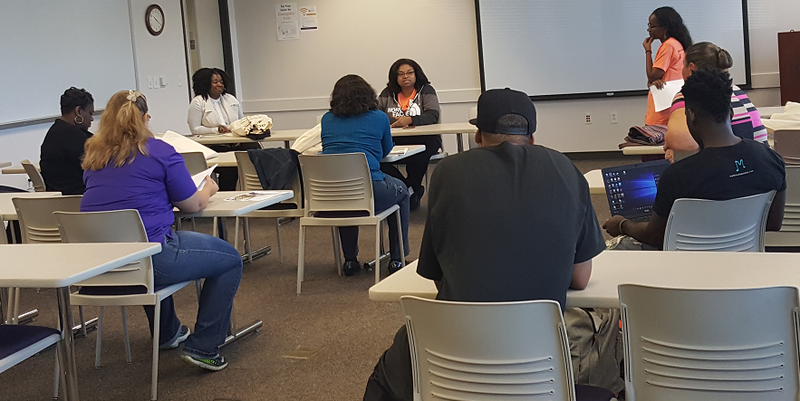 The workshop was held at the Prairie View A&M University Northwest Houston Center and sponsored by Microsoft, Motorola Solutions Foundation and CMD-IT. 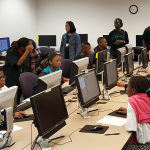 Volunteers from the community, students from Prairie View A&M University and members of Vietnamese Women in Computing came by to lend a hand. 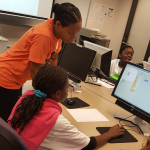 During the morning session, students learned about the types of careers they could pursue with a degree in Computer Science and then they basic programming concepts through fun activities in Scratch. 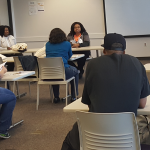 Parents got to attend a panel featuring CS professionals from both academia and industry who provided valuable information on how to keep their children engaged in STEM activities. 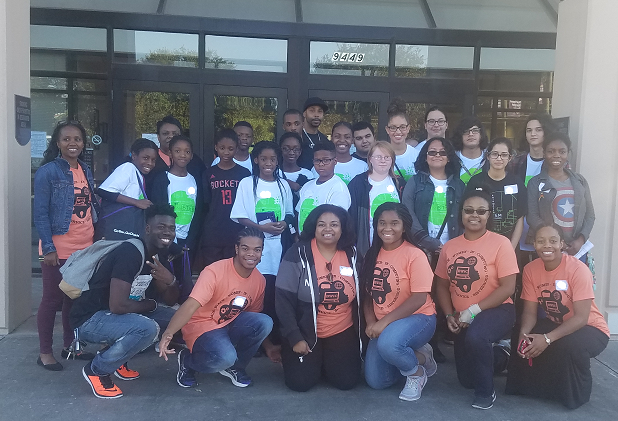 After lunch the students got to experience a unique math-based edutainment concert featuring guest instructors and performing duo from California, LaMar and David of Music Notes. 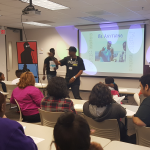 LaMar and David rapped about the importance of variables and the coordinate system, setting the stage for the afternoons programming activities. 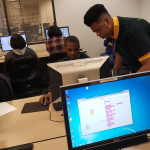 Students were presented the complete game development process and coded a paddle ball game using what they learned during the math concert. 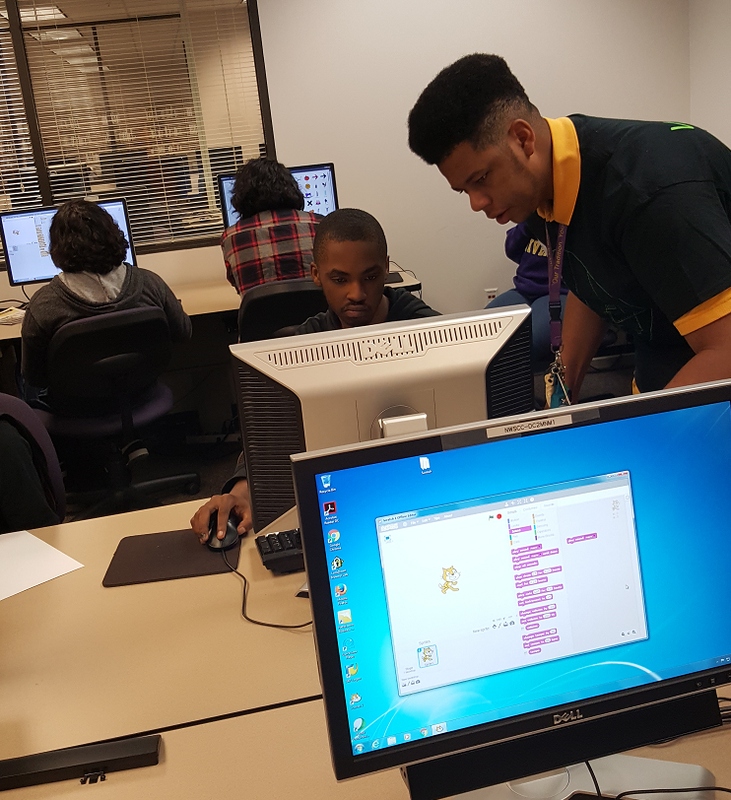 Students then tested each others games, and worked with Music Notes to develop a pitch to sell their game. 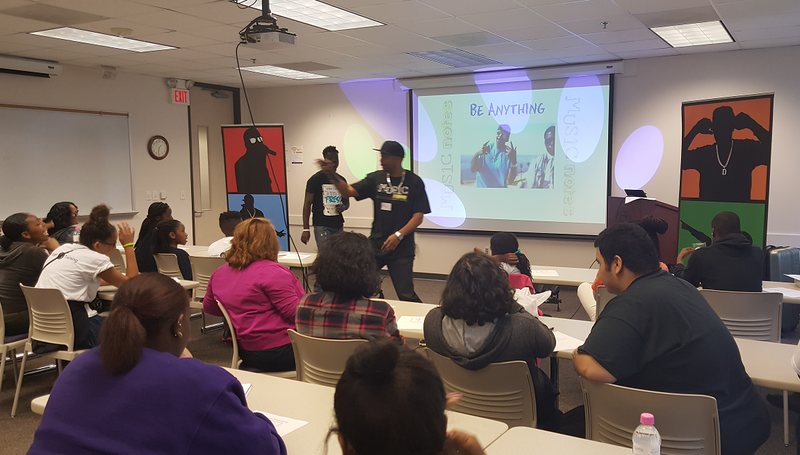 The day concluded with a student “rap” showcase, where students pitched their games to CEOs of a fictitious gaming companies. All students were given prize swag bags with goodies donated by companies that attended the Grace Hopper Conference. 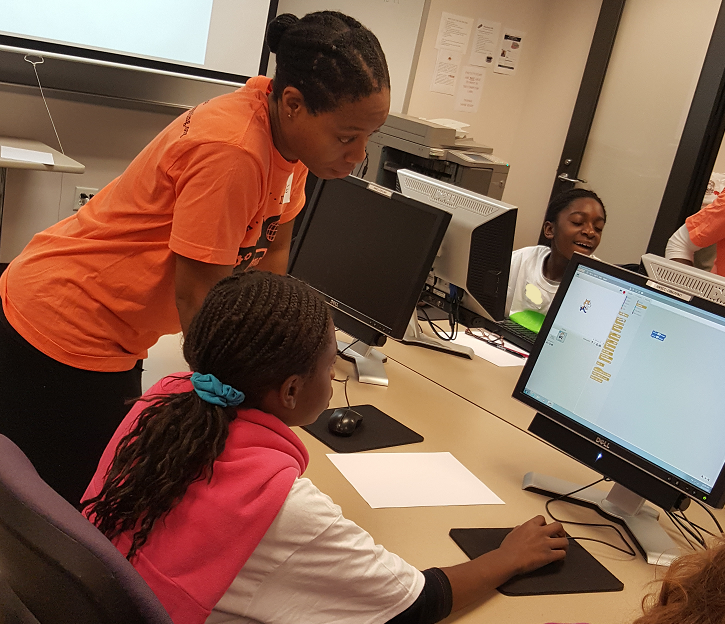 Black Women in Computing would like to thank all of our sponsors, community partners and volunteers that helped make this event a success!